13. the stars in the sky. I stepped out on the front porch on Wednesday night with Jack. He loves to be outside, loves being outside in the dark, and loves looking up at the moon and the stars. 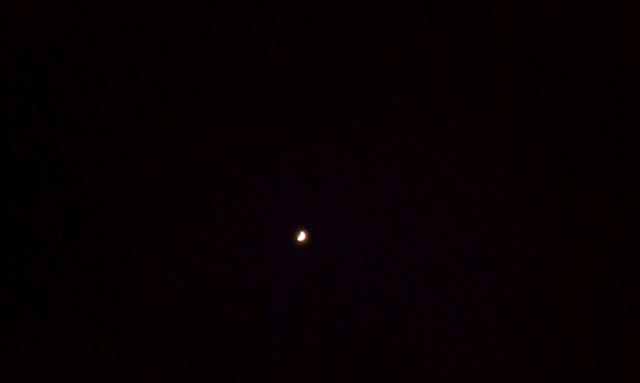 I very briefly looked up in the sky and pointed to the moon and said there weren’t many stars out that night. We went back inside, but a little while later Tommy took Jack outside to do their nighttime thing. And about ten minutes later Jack came running inside to tell me to come lay on the driveway with them. I followed him outside where he laid down on the driveway beside Tommy. I did, too. He pointed up to the sky where they were looking. It took a few minutes of me laying there, being stilled, to see it. When I was certain that there was a night with only a few stars out in my quick view, I was so limited in what I saw. When I sat still and really looked my eyes were opened and I saw a sky full of stars. The moon was there and stars were everywhere. Flickering, glowing, brighter than I could have known. But I didn’t see it. And I thought I’d given it a good look. Hope feels like that to me some times. Like it’s hard to see even when we think we’re looking for it. We think it’s just not there, but the thing is – it’s there. And it’s bright and it’s glowing, but we just don’t see it. So even when it feels dark, even when it looks like it’s not there, the sky is glowing with stars. With hope.